Recent advances in application of deep learning to health domain have shown promising results, even beating human level accuracy in some tasks. We believe that the dental field could use a new wave of research, and that collaboration between the deep learning community with dental professionals is a step in the right direction. As Andrew Ng said, "We have enough papers. Stop publishing, and start transforming people’s lives with technology!" 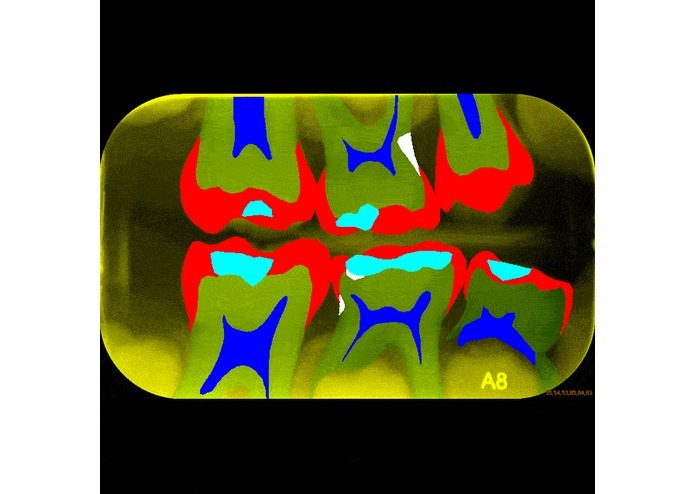 Our website demonstrates promising results of deep image segmentation applied to x-ray images of teeth. We show the separation of different classes using color coded labels and describe useful use-cases of further work in this direction. During this weekend, our time was mostly spent on implementation of the U-Net model. The author achieved very good results for Biomedical image segmentation with a limited amount of training samples. 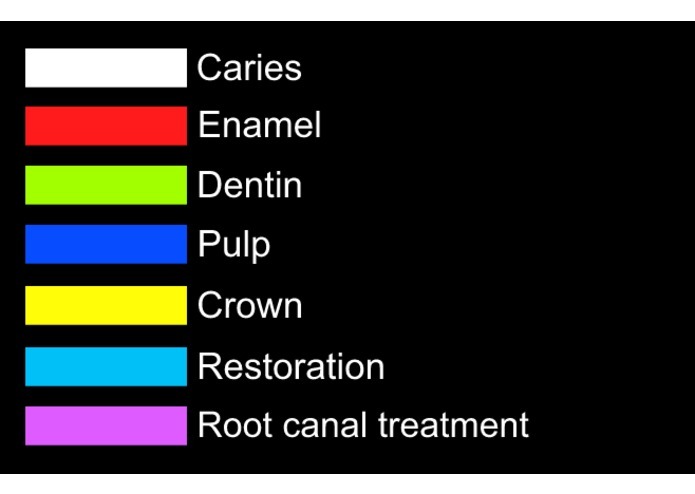 We used a small open-source dataset of dental x-ray images. In addition to this, we spent some time to solidify the use-cases for this model, as well as related additional work. It is not so easy to go from neural architecture in the paper or even open source Github repository to a practical application. Our team did not have much previous experience with image segmentation, and we learned a lot of new things through practice. How to do multi class image segmentation and heavily augment a small training set. Further work includes improving the accuracy and robustness of the current model by using larger datasets, and exploring additional use cases such as anomaly detection and patient recommender systems.